Fly Fishing and the Marketing Dept. Fly Fishing and the marketing department. I remember years back when my friend Gordon Mc Kay had a fly fishing shop here in Cape Town and a customer came in asking “What fly he should use on a particular local stream”. We both told him “ it doesn’t really matter, just make sure that it isn’t bigger than a size 16 and you will be fine”. With that the guy’s face clouded over, you could see him thinking “this pair of dullards obviously don’t know much about fly fishing” and he politely said “Ok thanks I am going down the road to XYZ’s to find out what they suggest”.. and there it was a sale lost and another angler set well on the road to frustration and financial ruin in search of the magic bullet. Truth be told it didn’t matter so long as the fly wasn’t bigger than a size 16 but he wanted a complicated answer. 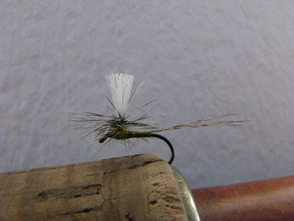 He wanted something along the lines of “you have to have a dark Choroterpes parachute mayfly spinner with a Zylon trailing shuck and olive tinsel rib in size 18”. He wanted expertise, or at least what he thought of as expertise and in his mind that meant complexity. Had we made such a recommendation then I am sure that he would have purchased a dozen, walked out the shop thinking that we were tremendously helpful experts and fished with confidence, probably would have caught some fish too, if only because he was fishing with a fly “that wasn’t larger than a size 16”. One can only imagine what may have lain ahead, buoyed with his success and new found status he would no doubt have then proceeded to send images of all his fish to his mates, told them that the had received excellent advice from the experts at the local fly shop and Gordon’s business would have taken off into the stratosphere. Within a year or two Gordon could have been seeking additional finance and listing on the local stock market, been featured on Oprah Winfrey as the “best fly selector in the angling world”, had his own TV show, “Gordon on flies”, published a book and retired at thirty five to small cottage on a select trout stream to fish and count his money. .. Well probably not but you get the point. Making simple things complicated sells better than the perhaps more honest alternative. Success has more to do with getting the basics right than finding some magic silver bullet. There seems to be a huge market in making things complicated, modern media is inundated with “experts” who are quite willing to tell you (usually at exorbitant cost) how you should dress, how you should cut your hair, how you should decorate your lounge. What flies, lures or the like you should use for success. How to pick up girls, win a tender, pass a job interview, bring up your kids or any number of other inane and ridiculous suggestions, most of which you could happily well achieve on your own with a bit of planning and a modicum of research. Not only that but many of these experts only true expertise is in making something quite simple overly complicated to justify their own existence.. Frankly I find it annoying and I find it particularly annoying when it comes to fly fishing because that is something very dear to my heart. 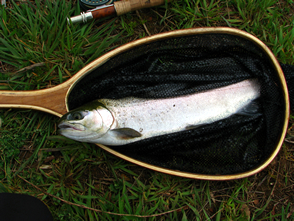 Fly fishing is essentially simple, it may not always seem like it but for the most part it is. Put a fly that looks like food, near to a feeding fish in a manner that it behaves like food and your piscine quarry is more than likely going to make a mistake and chomp it. It helps a bit if the fish doesn’t know that you are there of course but isn’t exactly rocket science either. Mind you it doesn’t escape me that the experts are generally doing financially better than I am so perhaps I am the fool? I would however like to suggest that at least I am an honest and pragmatic fool none the less. So here is the low down, most of the time fly fishing isn’t that complicated and getting oneself bogged down in the minutia of “Mayfly wing venation”, “Hatch Charts” and the difference between the male and female spinners probably isn’t going to help you a whole lot and particularly not if you don’t get the basics right. I was recently on the stream with two delightful clients on a particularly tricky day which illustrated the point once more. For starters it was the day after a long weekend so the fish had been hammered, the water was low, there was a bit of a cold front blowing in and a tricky wind to deal with swirling about the place. You may think that being a fishing guide is a pretty stress free way to make a living but it isn’t always, one wants success for your clients, even the ones who perhaps don’t deserve it and particularly the ones who do and that isn’t always easy to achieve. This time however I knew that I was in for an enjoyable day as soon as the one client asked “Can I wear the blue shirt or would it be better with the olive?” Here was a guy who understood the value of a pragmatic approach, never mind the fly or the leader or the hatches of the day, lets get the basics right like making sure we don’t scare the willies out of the fish before we even get started..
As said it was a tough day, there were some flying termites about after the overnight thunder showers and that brought a few fish to the top, although not a lot. We experimented a little with fly patterns but in all honesty it didn’t make too much difference and we only experienced one solid refusal during the day. What did matter was (as always) the presentation, these guys could cast which of course is not only a pretty neat starting point but also made my job a heap easier. What was noticeable was that the majority of the fish came on the very first cast to a likely spot. One good solid, accurate, drag free drift over a suitable lie and “whallop” fish on. It happened time and again, sure there were exceptions but it was noticeable that the most effective method was to get the first drift right. So with reference to all that precedes this and at risk of making myself out to be the worst and most simplistic pleb in the angling world, do yourself a favour and work on the basics. Make sure that you can cast well enough to put the fly where you want it. Have a selection of flies in different sizes that you can try but don’t get hung up on them, don’t be afraid to change but don’t get caught up in some frenetic lucky dip. Remember that the fish are wild creatures and are not entirely keen on making a mistake or being caught, so wear muted clothing, take off your watch and flashy paraphernalia, wade carefully perhaps make fewer casts and spend a little more time watching the water. And if all else fails, well as we say in competitive angling, “sometimes the only thing left is perseverance”. Consistently good quality casts and drifts in likely looking spots is still the mainstay of effective angling. We all like pretty flies, but they won't counter poor presentation. A simple pragmatic strategy to getting more good casts and good drifts over fish or at least likely looking spots, to cover the water carefully and be stealthy and accurate with your approach will do you a heap more good than chucking heaps of money at new rods, reels, lines, flies and gizmos that you can dangle off your vest. All of which probably explains why I am a fishing guide and not in marketing, but it will catch you more fish, reduce the pressure on your wallet and increase the strain on your line, which I think is actually a pretty good deal. If none of that works, I suppose you can always consult “an expert”.. happy fishing..